Get your training and certifications from the American Hotel and Lodging Association’s Education Institute (AHLEI) so you can get a job at a Hotel or Restaurant. Guest Service Training is a 6 hour course that teaches the basics of good personal service that is needed in many businesses and industries. Though the examples in the text relate to hotel guest service, the lessons can be applied in any customer service job. Certificate is earned upon successful completion of the course. Hotel Front Desk Training is a 40 hour course that teaches the skills necessary to successfully work at the front desk of a hotel or lodging establishment. These skills can also be used working at a customer service desk at any business. Certificate is earned upon successful completion of the course. Guest Room Attendant Training is a 40 hour course that teaches the skills necessary to work in a hotel or bed and breakfast in housekeeping, cleaning and preparing rooms for the next guest. Certificate is earned upon successful completion of the course. 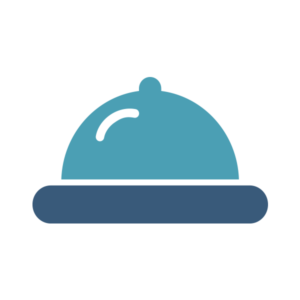 Hotel Restaurant Server Training is a 40 hour course that teaches the skills necessary to successfully work in a hotel restaurant serving food and beverages. These skills can be used in any restaurant, buffet, or catering establishment. Certificate is earned upon successful completion of the course. Credentialed training in a classroom setting. Participants are tested at the end of each course. An 80% score is needed to pass the test. Participants who pass the course receive their certificate and a lapel pin from the American Hotel and Lodging Association’s Education Institute (AHLEI). This certification is recognized throughout the hotel and hospitality industry. Training is divided by focus.